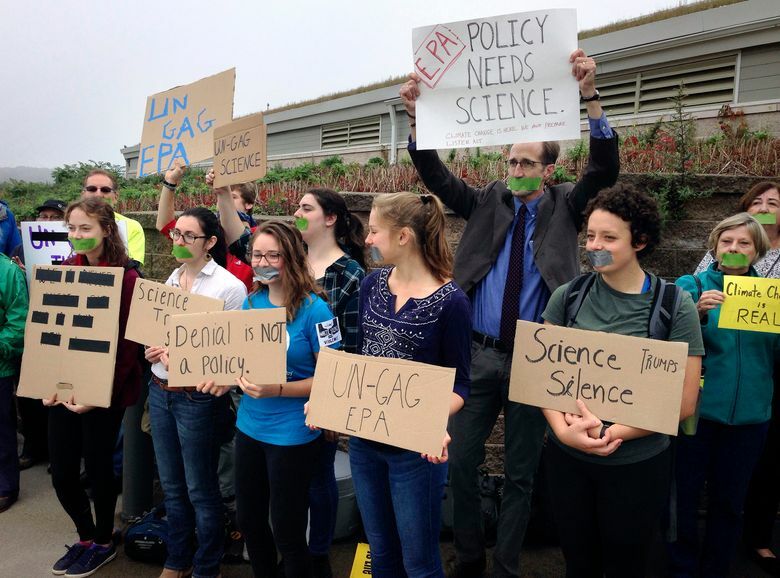 PROVIDENCE, R.I. — The Environmental Protection Agency kept three scientists from speaking at a Monday event in a move condemned by researchers and Democratic members of Congress as an attempt by the agency to silence a discussion of climate change. 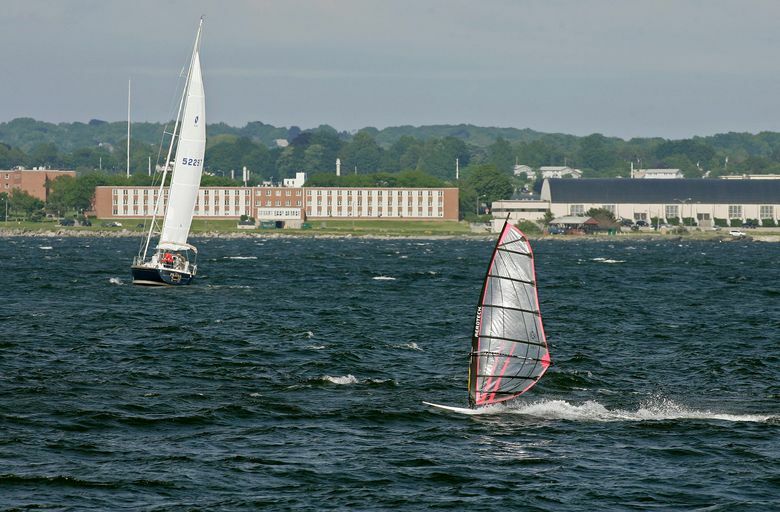 The scientists were scheduled to discuss a report on the health of Narragansett Bay, New England’s largest estuary. Among the findings in the 500-page report is that climate change is affecting air and water temperatures, precipitation, sea level and fish. 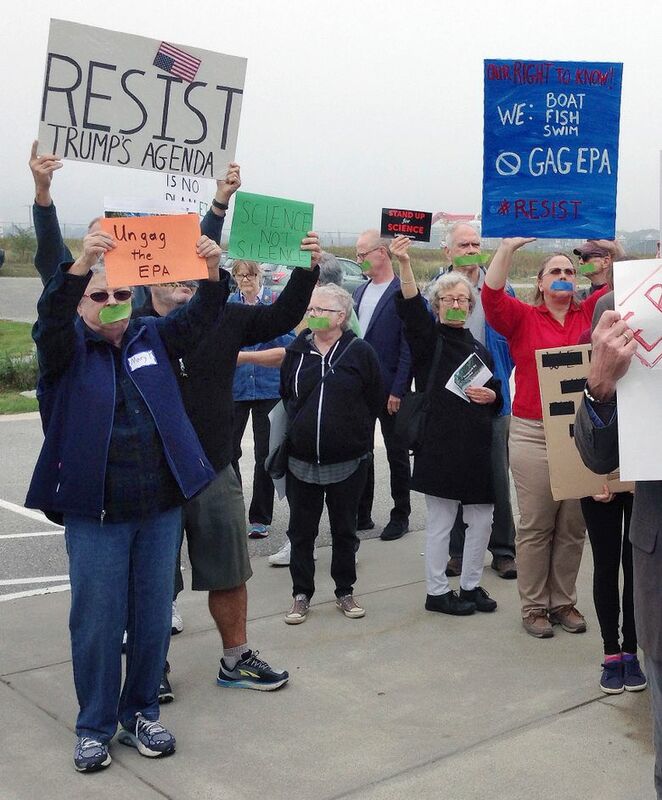 The EPA didn’t explain why the scientists were told not to speak, but said in a statement that the agency supports the program that published the document, the Narragansett Bay Estuary Program, with a $600,000 annual grant. The EPA is the sole funder of the program. “EPA scientists are attending, they simply are not presenting; it is not an EPA conference,” agency spokeswoman Nancy Grantham said in a statement Monday. Several people involved in the report and members of the state’s congressional delegation likened it to scientific censorship. They cited EPA Administrator Scott Pruitt, who has rejected the scientific consensus on climate change. During a news conference releasing the report on Monday, John King, a professor of oceanography at the University of Rhode Island and the chair of the science advisory committee for the estuary program, compared the decision to the opening move of a chess game. Democratic Sen. Sheldon Whitehouse said it made him sick to his stomach that federal scientists would not be allowed to discuss climate change in public. Thomas Borden, program director of the estuary program, said Wayne Munns, director of EPA’s Atlantic Ecology Division, called him Friday afternoon to say two staffers who work out of its research lab in the town of Narragansett had been advised that they could not attend. Munns did not give him an explanation, but Borden said he understood that the decision came from EPA headquarters in Washington. One of the staffers, Autumn Oczkowski, was scheduled to give the keynote at an afternoon workshop session. Another, Rose Martin, was scheduled to speak on a panel. After Munns’ call, Borden said he checked with an EPA consultant, Emily Shumchenia, who King said was detailed to the estuary program and who wrote significant portions of the report. She was told she should not participate, Borden said. Shumchenia attended the workshop Monday, but she declined to comment. Two other EPA employees also attended: the acting regional administrator and another official who was involved in the report. King said he knew when they were organizing the speaking program that there might be an issue with the EPA, given the direction under Pruitt’s leadership. But he said all three were excellent young scientists, and they were asked to participate so their work could be highlighted. “It was always in the back of my mind that it could happen,” King said. He said he reached out to Oczkowski and Shumchenia over the weekend, and they did not tell him much about the EPA’s decision, which was first reported by The New York Times. “They just were shaking their heads. The one theme was: We were given no explanation whatsoever, we were just told that we weren’t permitted to do this,” he said. Scientists from a variety of agencies and institutions had been working for years on the technical document, the purpose of which is to examine the condition of the bay and the trends with data on 24 different environmental indicators. Those include stressors such as population, and also climate change, such as warming temperatures, increased precipitation and increased sea level rise.